I'm always on the lookout for inspiration on how to use my Filofax(es), so I like to read other people's blog posts about how they use theirs. I posted a short list of examples on Philofaxy awhile back, but decided I'd like to keep a running list of posts for my own convenience (and that of anyone else who's interested) for reference. 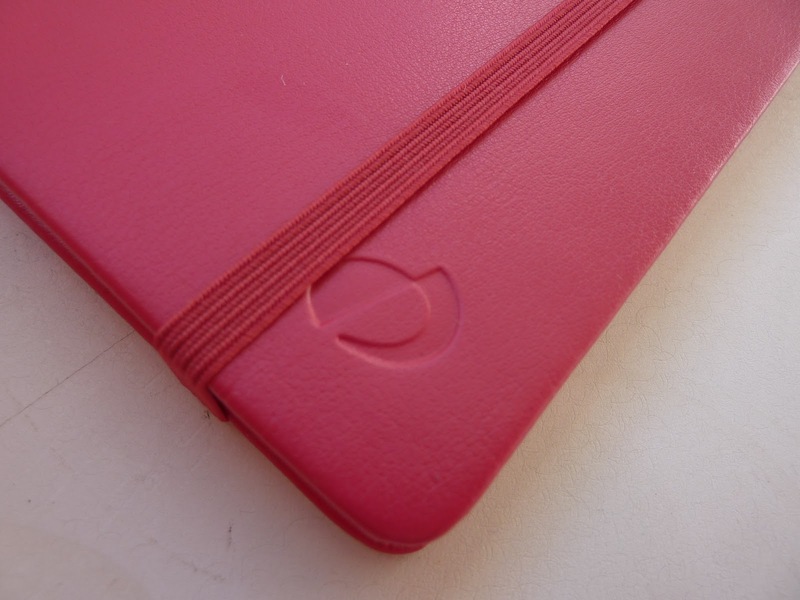 So I've added a page in my sidebar called "Filofax love posts." Loads of great Filofax useage ideas in there, with some great photos of people's Filofaxes too. 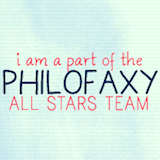 If you find (or write your own) posts about using Filofaxes, please email it to me! A couple of days ago, Time Management Ninja had some excellent tweets (which you may have seen me re-tweet) on a subject that I'm always looking for help with: To Dos. I know I'm not alone in my battle to better manage my task lists! I'm trying out a new method for keeping track of to-dos and notes. Despite the wonderful list boxes on my Trinote, sometimes they are not big enough to list all of my tasks for the week. Sometimes I need different categories, or just more space in general. Last week I added an Extra Large Moleskine Cahier (blank pages) to capture lists and notes. 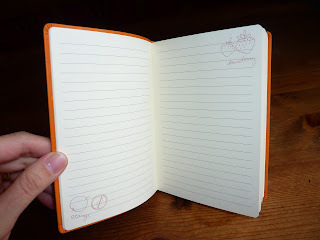 I just happened to have a 3-pack lying around, and I happily discovered that the Extra Large Moleskine is exactly the same size as my Trinote (Sis, make note!) so the two are a perfect match. I'm still in the early days of this planner + notebook system, and I'm wondering if the notebook will become a confusing jumble of lists and random notes as the pages progress. How do you keep track of your tasks? 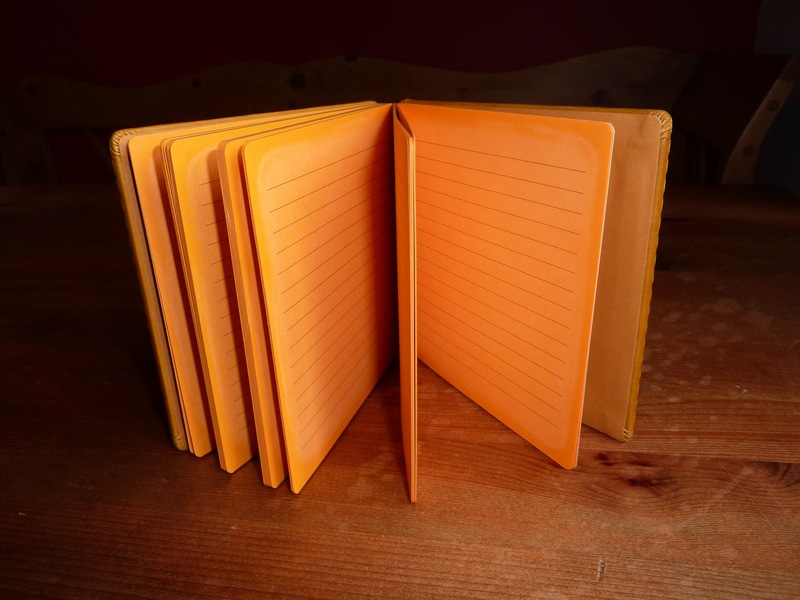 Do you write them in a separate notebook, or within your planner? Here are the winners of the Daycraft giveaway! Please forgive me that I didn't list the entries for each notebook and show the Random.org result, it was taking forever. 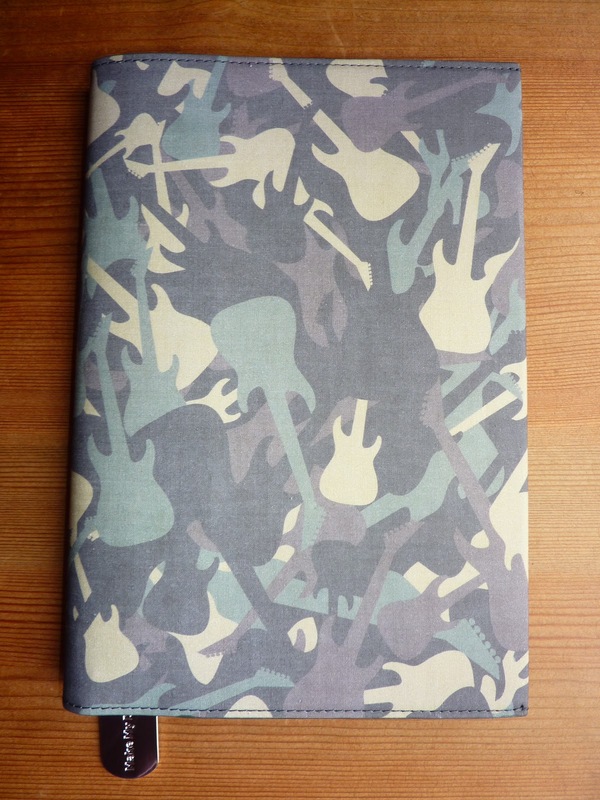 Camo Concert notebook: Colin (Ariana 1985)! Send your mailing address to me at: laurie758@gmail.com and your new notebook will be on its way to you soon. Many thanks again to everyone who participated in the giveaway! 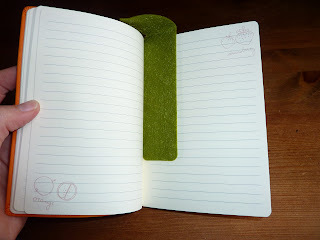 I am giving away FIVE Daycraft notebooks! When all of my stuff arrived a couple of days ago, I realized I literally have more notebooks than I know what to do with. So I thought I'd give you all the opportunity to get your hands on these cool notebooks! So here's the catch: to win these notebooks, you must be in the UK. (Sorry all my non-UK friends.) 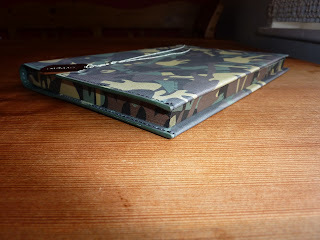 Notebooks will be mailed via Royal Mail 2nd class. Here's how it works: leave a comment and tell me which notebook(s) you would like to win. 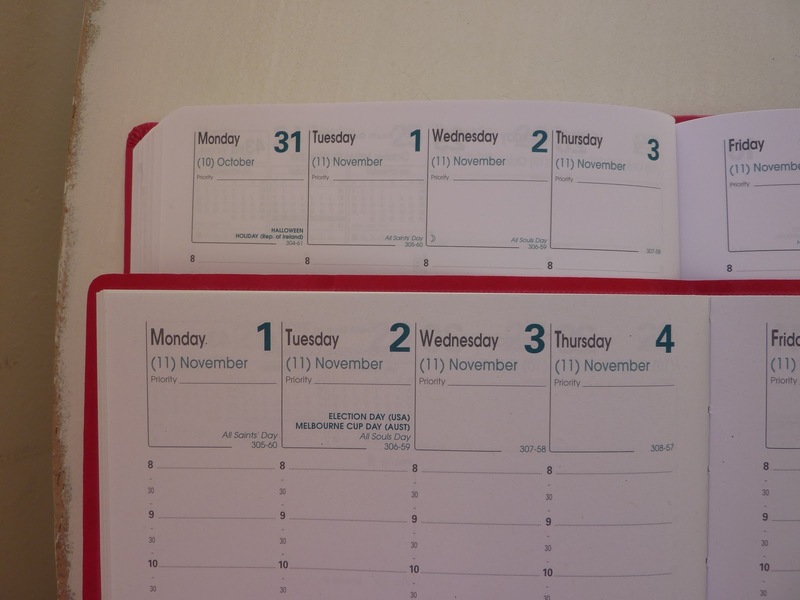 You can apply to win any or all the notebooks, but each notebook's winner will be selected separately. I'll list the applicants for each notebook in the order of their posted comments, then do a Random.org to determine the winner. You have until midnight Monday October 25th to post your comment. 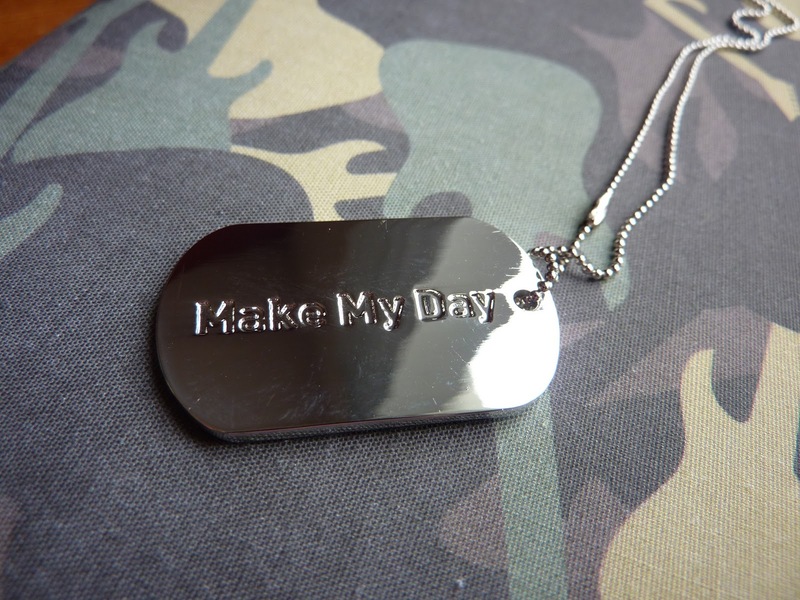 Winners will be announced Tuesday October 26th! Re-tweet and spread the word to all your UK friends! Here is the Camo Concert notebook from Daycraft. 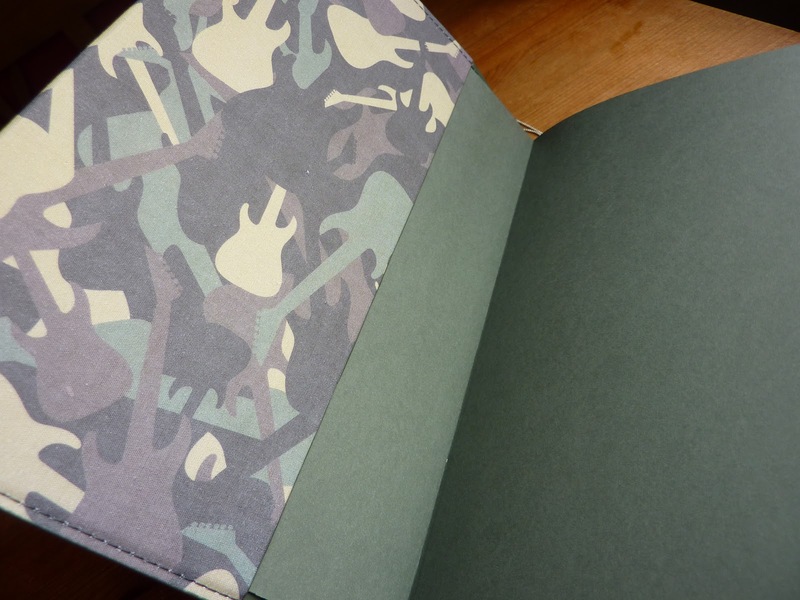 Even the edges of the pages are camouflage printed! This A5 size book would make an excellent journal, or would be perfect for recording song lyrics! This notebook was sent to me by Daycraft as a sample to review. Thanks again so much to Daycraft! 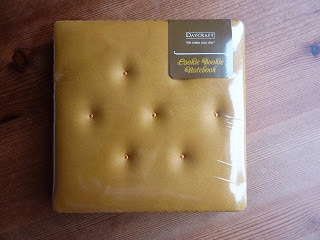 I have been very lucky to review lots of Daycraft products. 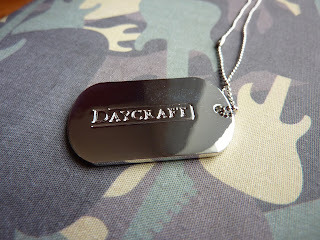 Click here to see all of my Daycraft reviews. Check in here on Plannerisms tomorrow, when I'll be giving away this notebook and 4 other Daycraft notebooks!! Be sure to put in your name to win! I like to write quotes on my planner's weekly pages to inspire me, keep me motivated, or just keep my perspective. Also, I've decided to expand the Me section of my Filofax into an entire Me notebook, and I'd like to have my favorite quotes throughout the book. So let's hear it! What are your favorite quotes from famous, or not so famous people about life, the universe, and everything? I love this short video about the 2011 Moleskine planners! 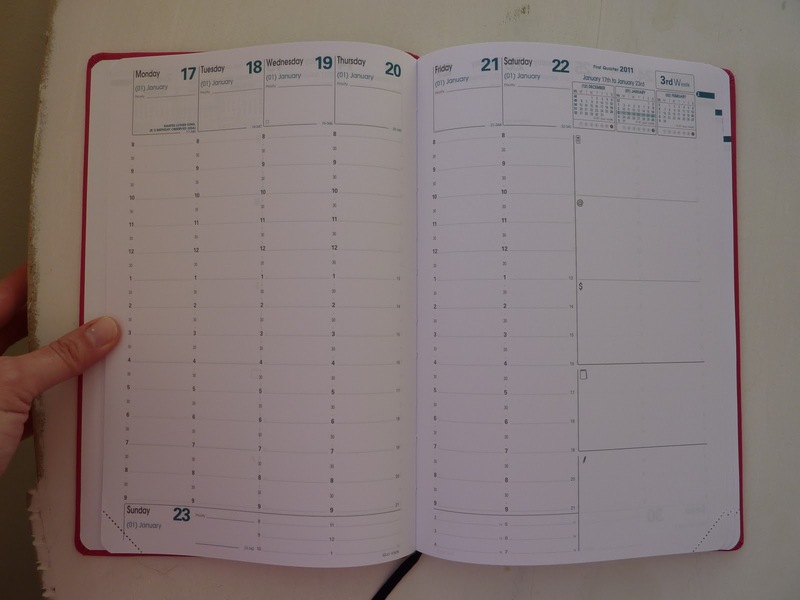 Even though I know it's not actual people's agendas written into the planner pages, I'm still fascinated by all the different ways to use the planners. 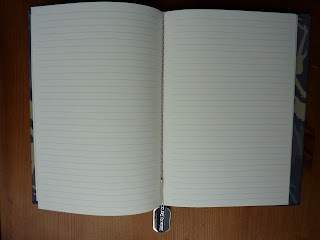 And I have to admit, I really like that the Moleskine planners are available in so many sizes and formats now. I'd love to see the Weekly Panoramic in the Large size (pocket is too small for me, but I love the Panoramic layout). 7 days as columns like in the A4 weekly but in the more portable Extra Large size. I think the slightly squarish shape of the Extra Large would lend itself nicely to the 8 column layout. What do you say, Moleskine? What do you think? 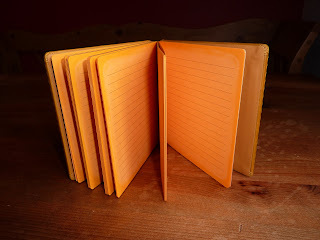 What are your favorite Moleskine planner formats? What would you like them to add to their collection? Apparently I am unable to function without my Trinote! 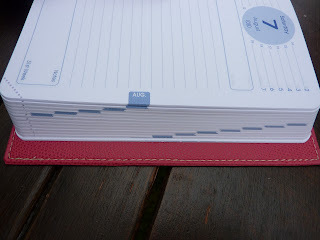 My Daily Diary + Weekly Planner was a failed experiment. Writing appointments and events in 4 or 5 places was stressing me out, to say the least. 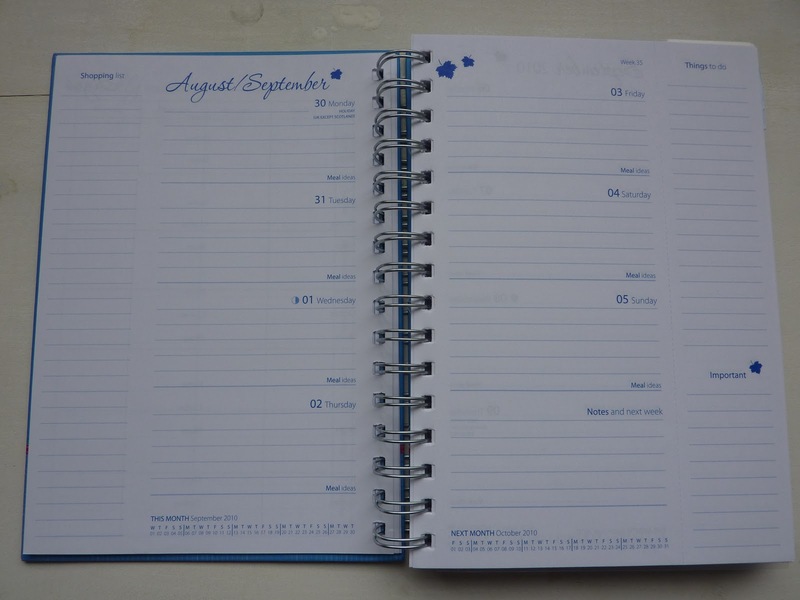 Using two separate planners made me feel scattered. And the worst part was, my weekly To Do list was not visible enough on my weekly planner page, and not categorizing them caused a mass jumble of tasks in no particular order. I hate to call it a Planner Fail necessarily, it was just an experiment that didn't work out. So it's happily back to my Trinote I go, back to order and organization! The large daily columns and categorized list boxes just can't be beat. Nothing else keeps me organized like my Tri. 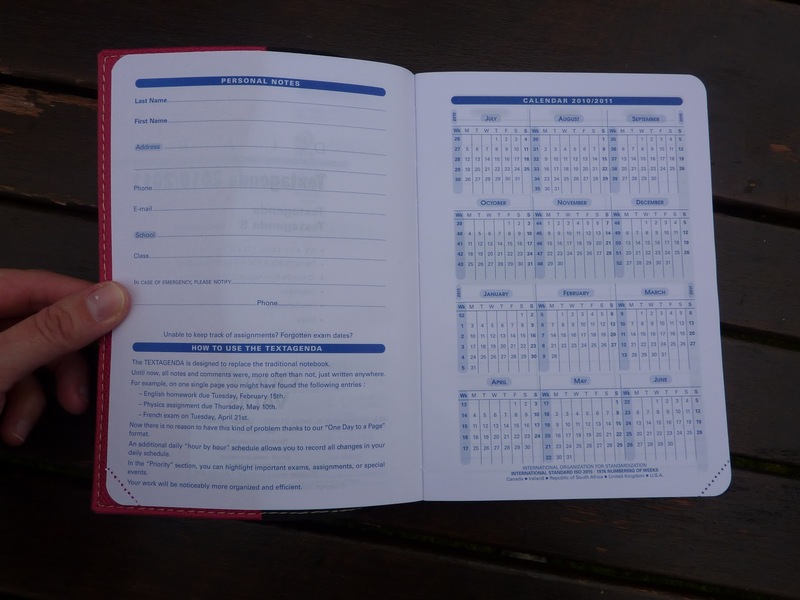 I keep getting interested in other planners out of curiosity, but I keep coming back to my Trinote because it works the best for me. 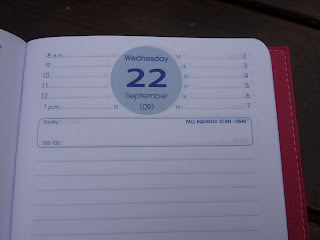 Also, with all this talk about the Philofaxy event next month, I've been missing my Filofax a lot. I hadn't been using it at all lately, but I realized I could adapt the things I like about my Life Book (like the Budget and Expenditure pages, Goals and Monthly Reviews) easily. 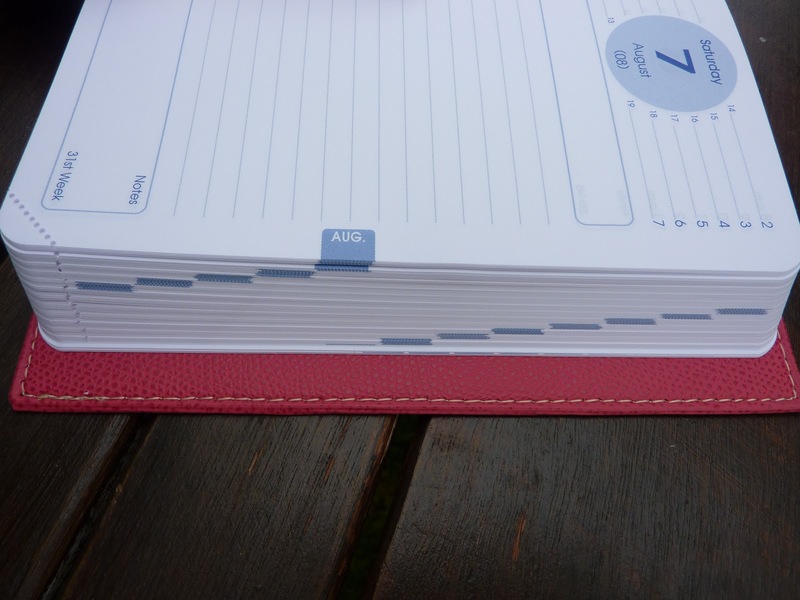 In fact, those things will be easier to find in tabbed sections in my Filofax than the way they are currently embedded in the Monthly section in the Life Book. My Trinote is my weekly Master Planner. I write all appointments, to dos, notes, expenditures, and other things to record each day in the big daily spaces, and categorized task lists for the week in the list boxes. This prevents my "out of sight, out of mind" by keeping everything visible. My Trinote goes everywhere with me in my bag. I already have the 2011 Trinote so as appointments and events need scheduling into next year, I write them straight into next year's Tri. My Deco Filofax is my everything-except-my-planner book where I have sections for my Goals and Monthly reviews, Financial with expenditure and budget totals for each month, and everything else. I have also updated my inspirational Me section. My Filofax stays home most of the time, but will come with me when I travel. My Habana notebook is now my journal, and I absolutely love it. 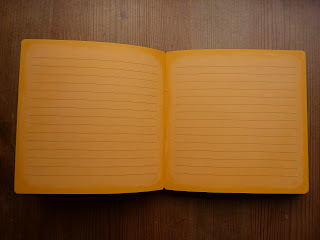 The smooth, thick paper has such a nice feel to it, it adds to the relaxing experience of writing in my journal. Many thanks to my sister yet again for her sensible planner counseling services! 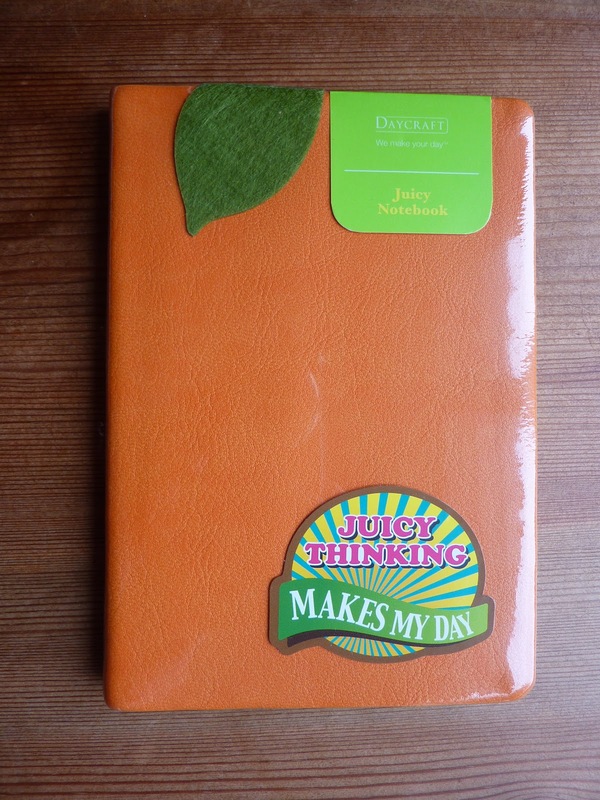 Here are a couple of delicious-looking notebooks from Daycraft: the Cookie Bookie and the Juicy Notebook! First up, the Cookie Bookie. This is the Cheese Cracker one, and this seriously makes me want to eat some cheese crackers. 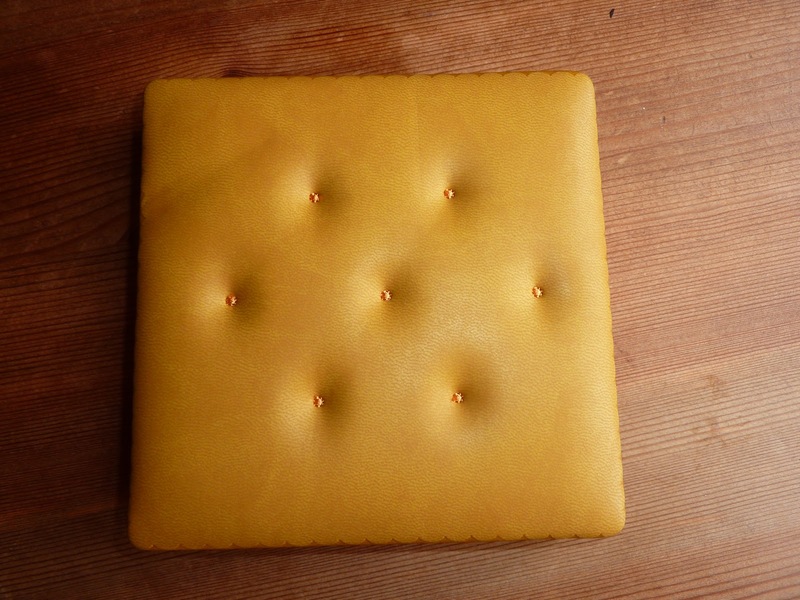 The cover is thick and padded, and measures about 4 3/4 inches square. 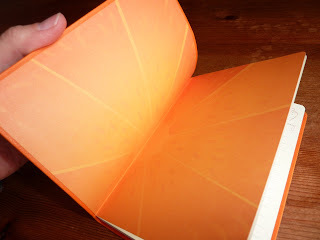 The lined pages are a wonderful cheesy orange color. But don't let the fun appearance fool you: this is some seriously great paper. The 90 gsm weight makes it fountain-pen friendly. Even the spine is orange, giving the book a very realistic cheese-cracker look! The soft flexible cover has a slight orange-peel texture to it. The book is A6 size (6 by 4 1/2 inches) so it's very portable. The lined pages have fruit details on each page. 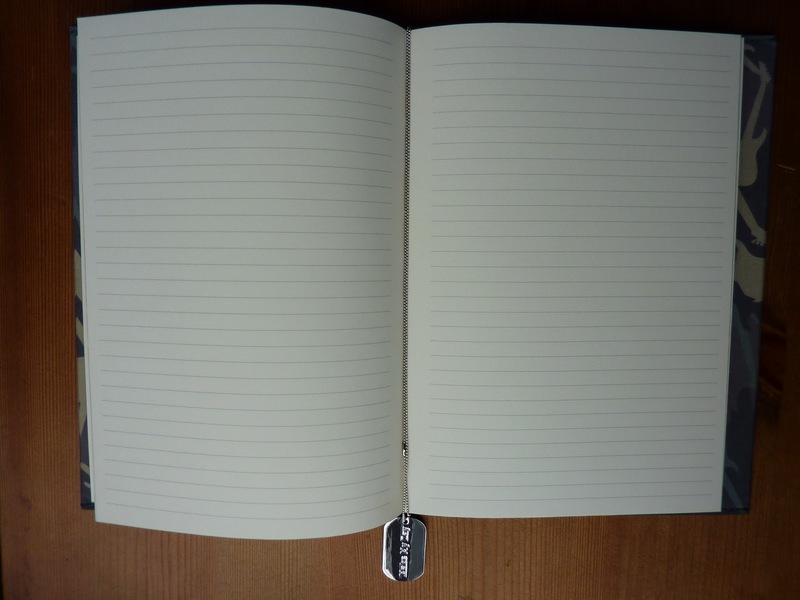 The 100 gsm paper is cream colored and very smooth, again ideal for fountain pens or your pen of choice. 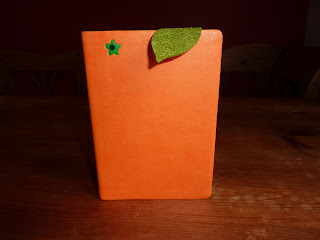 There is a felt orange leaf bookmarker to mark your place. Daycraft continues to provide top-quality products in new and fun designs. These are not your ordinary notebooks! Don't forget you can order many Daycraft products from the Vera Chan website, and enter code "plannerisms" at checkout to get 20% off all products! These notebooks were sent to me from Daycraft as samples to review. Many thanks to Daycraft! I have more reviews of new Daycraft products coming soon, so stay tuned! I am very lucky and blessed to have a wonderful family and lots of great friends. I'm very happy and very lucky to have such wonderful people in my life!! 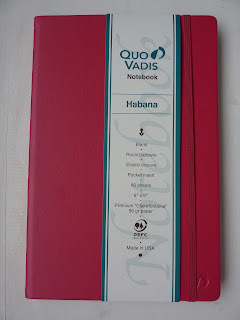 This is the large Quo Vadis Habana notebook with the new Raspberry color cover and blank pages. Many, many thanks to Karen at Exaclair for sending me this notebook! It is absolutely fantastic. In my review of the 2011 Minister Habana I raved about the excellent cover. 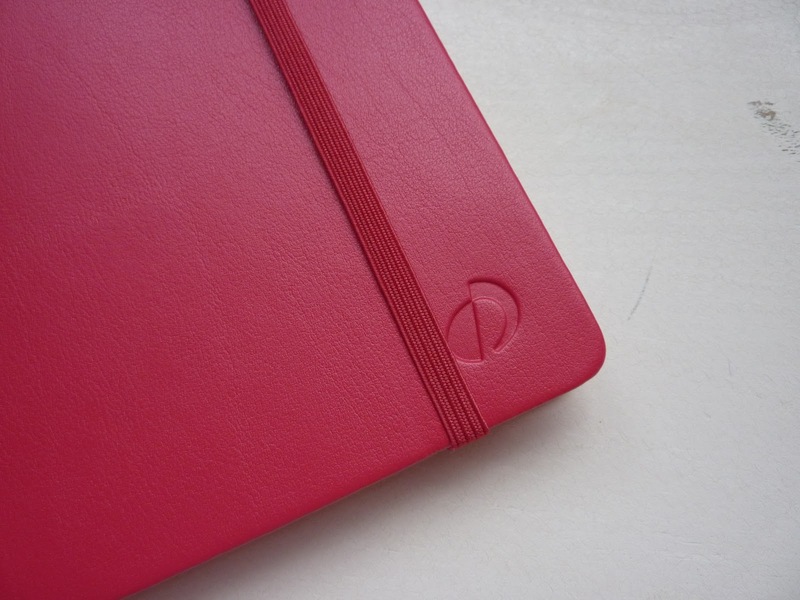 And now I'm very excited about the Habana notebook with all its excellent features! The book is beautiful and classy-looking. And as if that weren't enough to make an excellent notebook, it gets much, much better: the paper inside is the very best in the world, in my opinion. 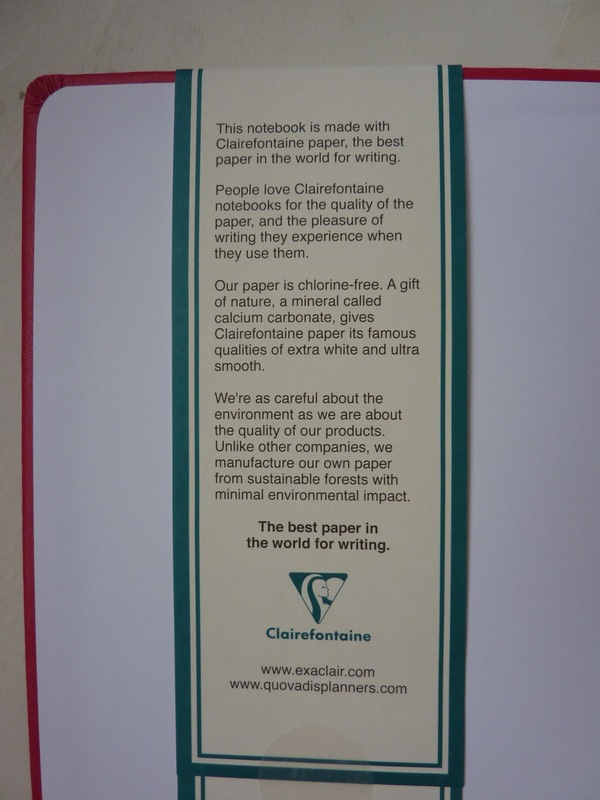 The large blank Habana notebooks contain the 90 g, extra white, super-smooth Clairefontaine paper that is a favorite of fountain-pen users and loved by writers everywhere. My pen glides across the page. The paper is so smooth to the touch, it just makes me want to write on it. The paper is sustainably sourced and PEFC certified. The paper is acid-free and pH neutral, so it's perfect for archiving. That makes the Habana notebooks excellent for journaling, scrapbooking, art, writing, or anything you want to record and preserve long-term. 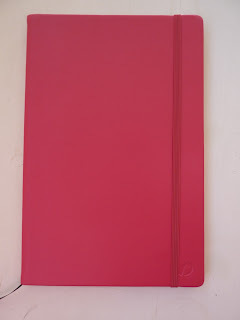 This Habana notebook with its blank paper and gorgeous Raspberry cover is officially my favorite notebook now. 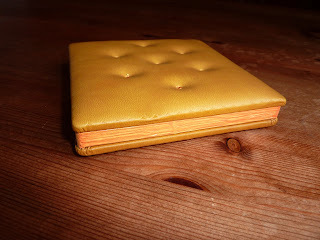 In fact, it is now my journal. 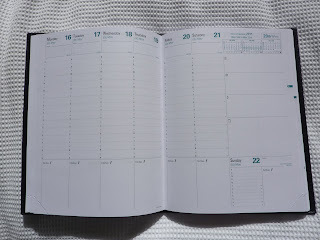 Awhile back I wrote about how I've been neglecting my journal, mostly because of its dated day-per-page. I fell behind for several months, and back-filling so many days was too daunting. I decided after all that I didn't want my journal to be about keeping a detailed record of my days, but more for capturing special moments and memories. The Habana is perfect as a journal: beautiful, a pleasure to write in and hold, and archival quality. I'm afraid I have a new addiction!! 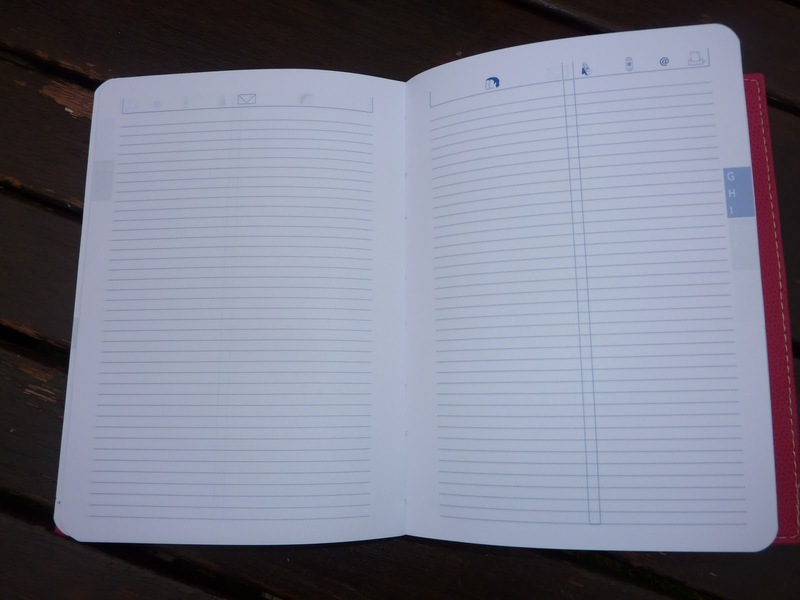 This notebook is the large size, which measures 6 1/4 by 9 1/4 inches. 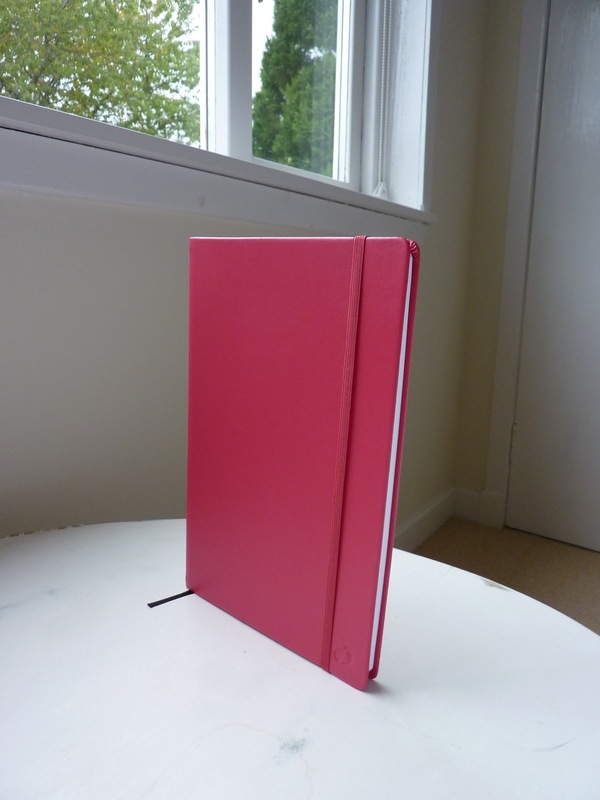 The Habana notebooks also come in the small size which measures 4 by 6 3/8 inches. These Habana notebooks with blank pages are available with black, red, raspberry or green covers. 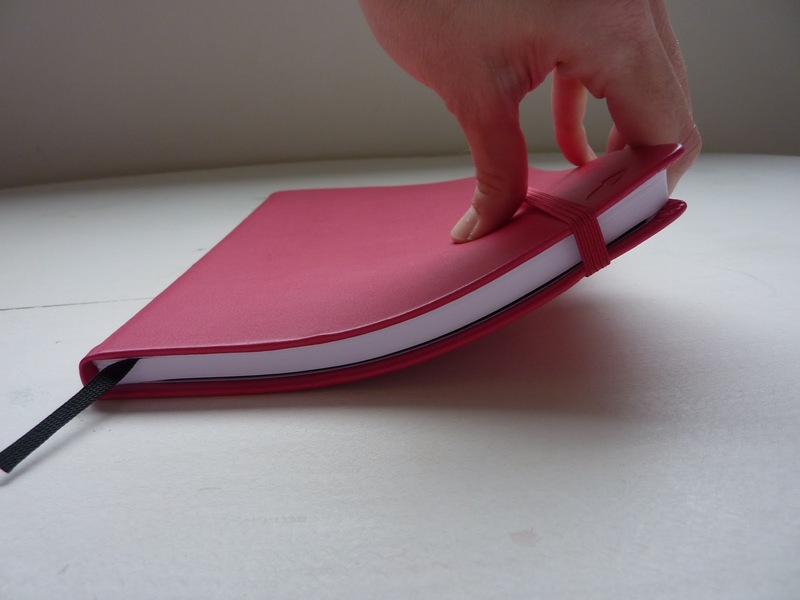 Habana notebooks with lined pages are available with black, red, blue or taupe covers. You can purchase Habana notebooks in the US at The Daily Planner, and at these retailers (click for list). In the UK, the Habana notebooks are slightly different. The paper is ivory instead of white, and the raspberry and green covers are only available in the smaller A6 size. Click here to see the UK Habana collection. 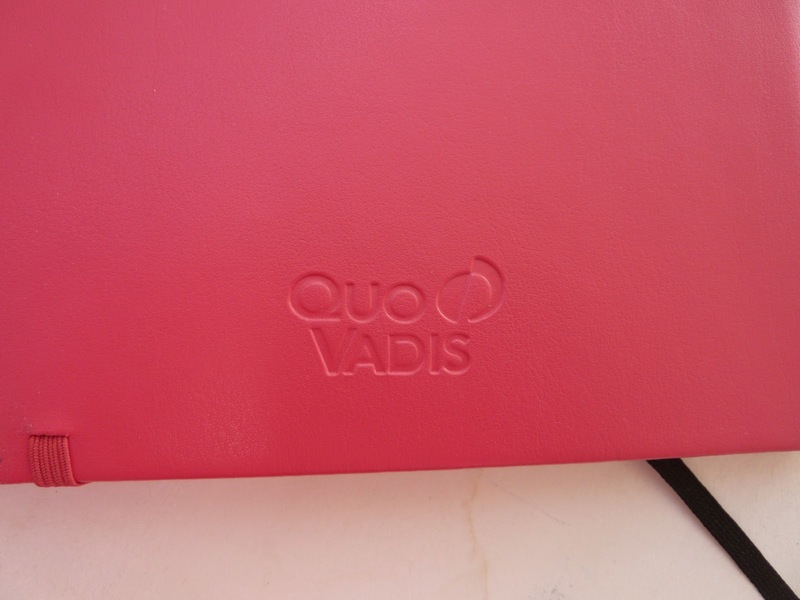 Just a heads-up: the raspberry cover shown on the Quo Vadis websites is a little bit lighter pink than the real-life color of the product. The actual color of the cover is kind of a reddish pink. Raspberry describes the color very well. I highly recommend the Habana notebooks! Here are the details of how I'm using my daily diary (my Quo Vadis Textagenda that I reviewed yesterday) and my weekly planner (currently using my 2011 Life Book Diary) concurrently. My weekly planner is Mission Control. In it I write all my appointments, do my meal planning, plan holidays and otherwise do general planning. 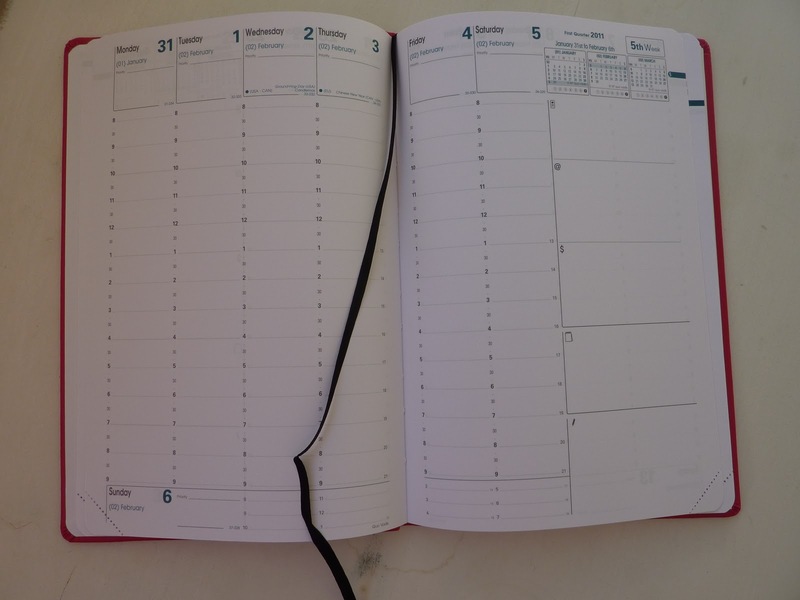 In the Monthly section I see the overview of each month, track bills due and paid, fill in my monthly budget totals, write my monthly goals and monthly reviews. 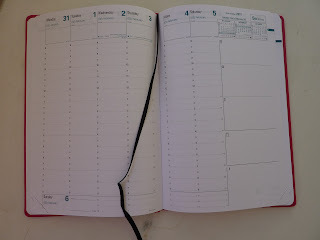 Even though the day spaces in the weekly planning pages of the Life Book Diary are pretty big, they are still not big enough for everything I want to write each day (which is a lot). So, I ordered up my Textagenda. I know some people find it redundant to use a weekly planner and a daily diary at the same time. 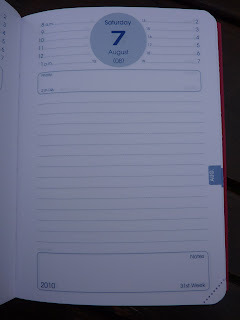 And then I know other people who use both, or have separate weekly and daily sections in their Filofax. I'm using a setup similar to how this woman uses her Filofax as her planner, and her notebook for each day's task list. In fact she was my inspiration for using this two-book system, so many thanks to her! I had a few days to think about how I was going to use my Textagenda while I waited for it to get here, so even though it's only Day 1 of using it, my plan is fully formed: my Textagenda is all about Today. My weekly planner is for planning ahead (which I absolutely need a week view to do), my Textagenda is for planning and recording today. 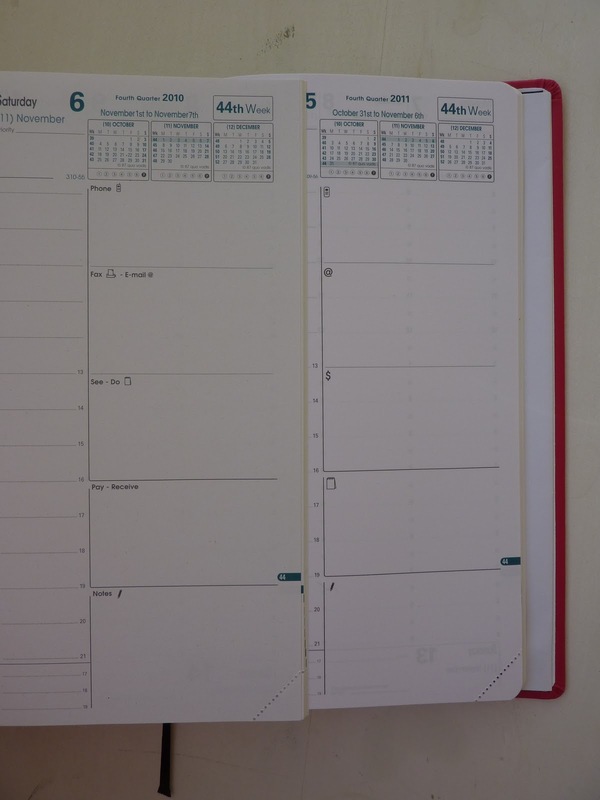 Today's appointments get written in the timed schedule area at the top of the page, and the day's priority goes in the Priority box. Today's to-do list is written on the lines below. This is the space where I can do a brain dump to get out of my head all of those little details of what I need to do, things to bring with me that day, steps to do in a certain order, and whatever else needs to get done today. Today's page is also today's In-Box. All those little notes, numbers, ideas, whatever comes at me throughout the day gets jotted on the page. It's very handy to grab my planner, open it to today's page, and jot anything down rather than dig for a notebook or scrap of paper and then hope I can find that note again later. Today's expenditures get written on today's page, to capture them immediately (and not rely on my questionable ability to keep all my receipts until the end of the day to tally later). At the end of the week I write totals for each category (groceries, kids' activities, gifts etc.) in my weekly planner, then at the end of the month I total each of these categories for the month. I find it simplifies my process to have weekly category totals, which makes my monthly totaling much easier to accomplish (and therefore much more likely that I'll actually do it). Today's record of events like: stuff I want to remember to write in my journal later at home; learning activities and books I read with my kids that day; exercise; the weather; and anything else I want to keep as a record of the day. 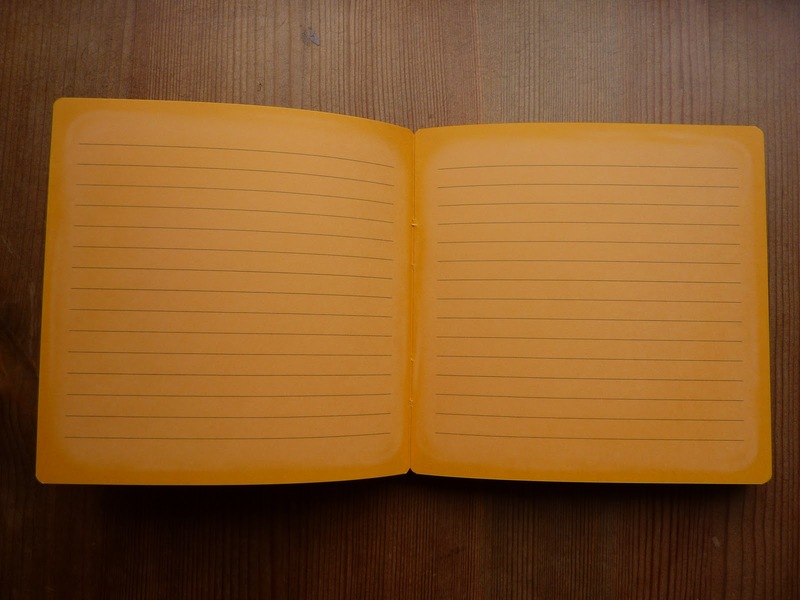 Some things (like journaling memories) may get transferred to a different book later, but writing it on today's page is a convenient way to capture it and allows me find it again later easily. Any appointments or events scheduled while I'm out and about get written into their appropriate date and time, and I also make a note on today's page to write it into my weekly planner at home. I carry my Textagenda with me everywhere, and my weekly planner stays at home, so at the end of the day I review today's page and transfer anything that needs to be written into my weekly planner. For me, it's very helpful to have only one place, today's page, where everything gets written even if I have to transfer it somewhere else later. That way the information gets captured reliably and I can find it again easily. There are so many ways to use a daily book. 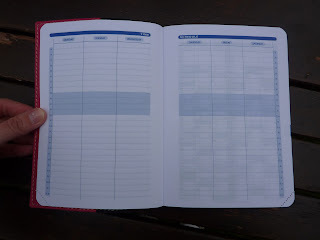 I love this article on the At-A-Glance blog about various ways to use a day per page diary (some of which I have incorporated into my Textagenda usage). You'll notice my comment on that blog post, which refers to my post When Is A Planner Not A Planner? that has more ideas for how to use a daily book. My new Textagenda is here! This is the UK edition of the Quo Vadis Textagenda. Those of you who have been reading my blog for a long time know I have a special fondness for Textagenda diaries. I keep coming back to these diaries because they are excellent. I have a Textagenda from the US, one from France, and now one from the UK! It's becoming quite a collection! 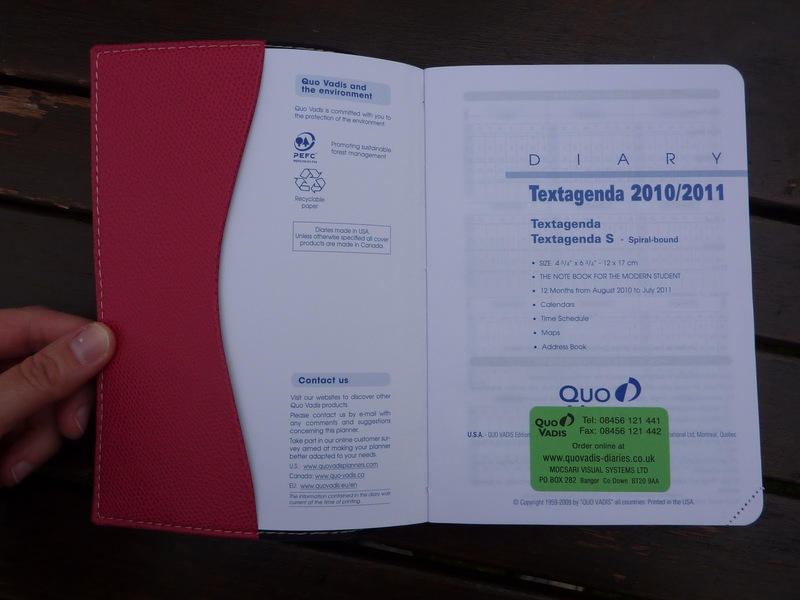 The Textagenda is Quo Vadis's day per page diary in the academic-year format. This UK edition has pages of UK-specific information. I'll walk you through the book. 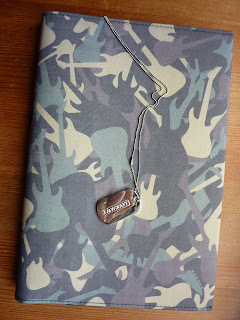 Interestingly, according to the inside cover, the diary was made in the USA and the cover in Canada. 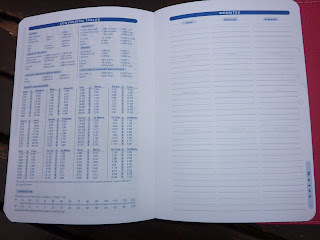 The next page is Personal information, and a reference calendar for July 2010 through June 2011. 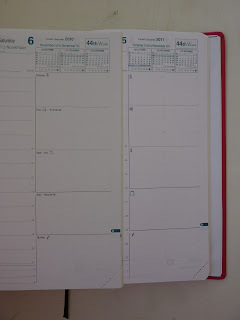 The next two 2-page spreads are for recording your weekly schedule. 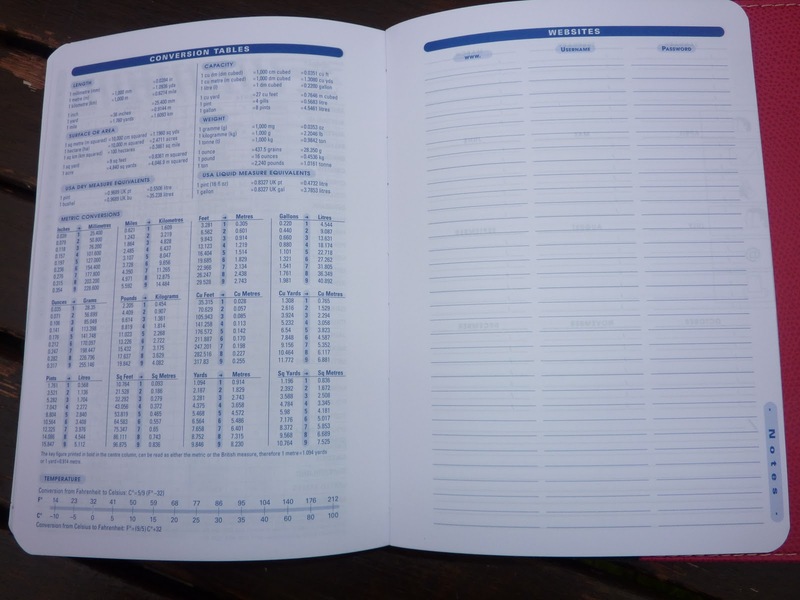 Next is a feature I absolutely love in Quo Vadis diaries: the Anno-Planner, with the entire academic year across a two-page spread. 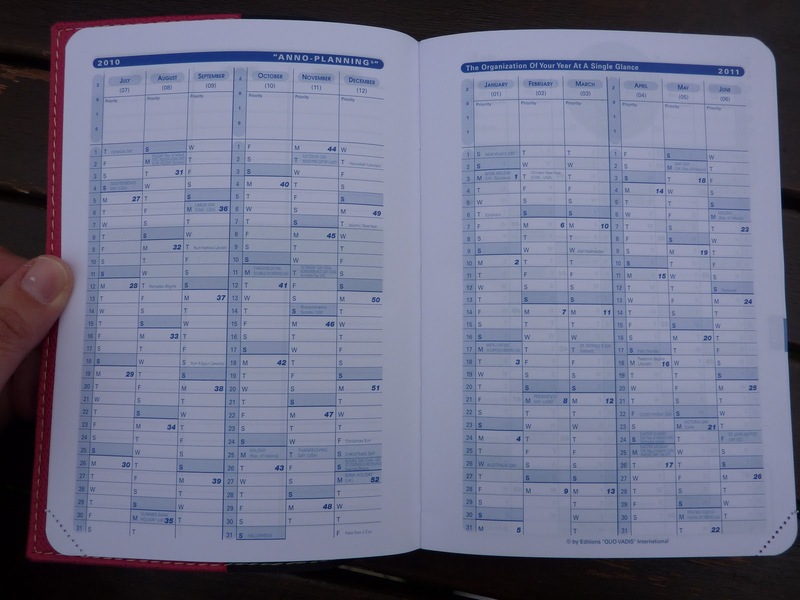 I find the Anno-Planner extremely useful for planning out my year. 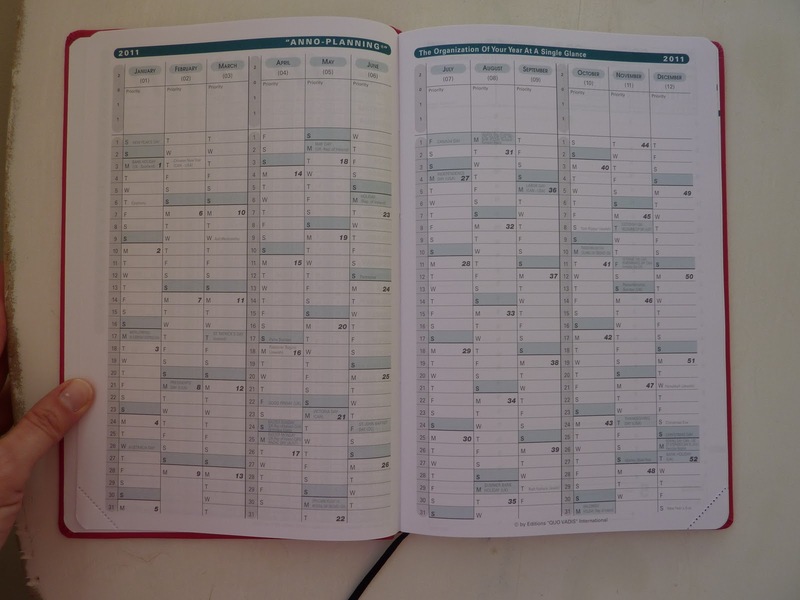 Near the back of the book there is another Anno-Planner for the following academic year for future planning. The schedule area at the top of the page is good for those of us with few appointments. Below that the Priority box highlights the major event of the day. 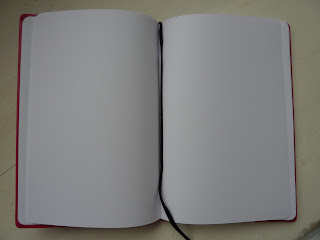 There are lines over most of the page, and at the bottom of the page there is a boxed out area to highlight important notes. 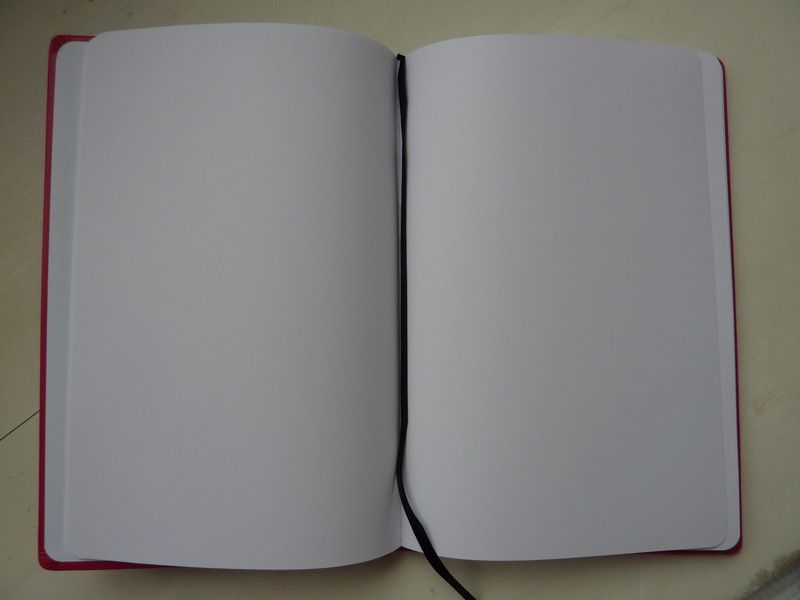 The bottom corner of the page is perforated to tear off, so that the book opens directly to the current day's page. 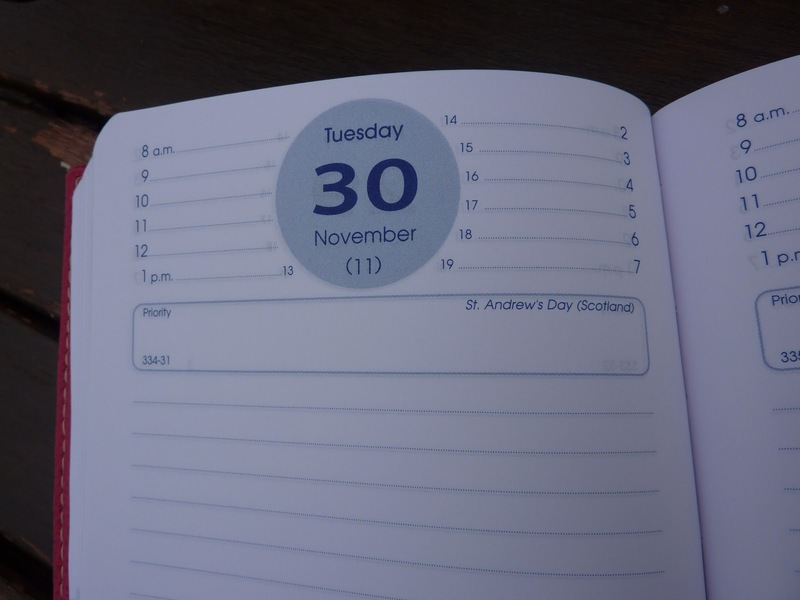 Scotland-specific holidays are indicated (which I appreciate very much). There was a debate awhile back on the Quo Vadis blog about whether people like the blue ink color (in the Textagenda and Notor), or if they prefer the gray ink that was used in previous years. As I commented on the blog post, I think the circle looks nicer in blue ("more cheerful" as Gini Cooper commented). The blue lines interfere with my color-coding system a little bit, but really not enough to be an issue. The lines are dotted and fairly inconspicuous. As we all know, I love the monthly tabs at the edge of the pages. I mean, I really really love them. 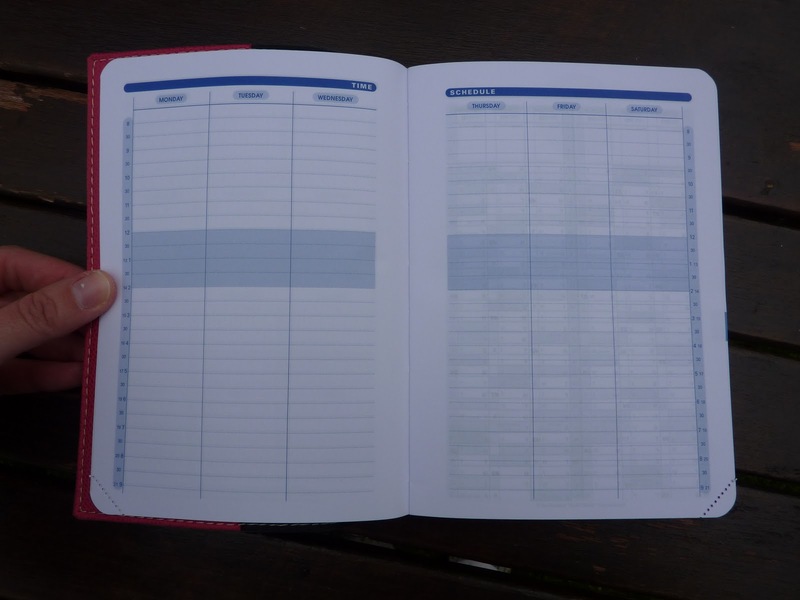 I wish every planner in the world had these. 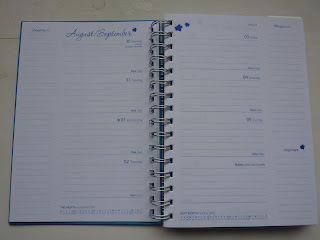 After the last day's page (which is August 4, 2011) there are lots of pages of very useful information. 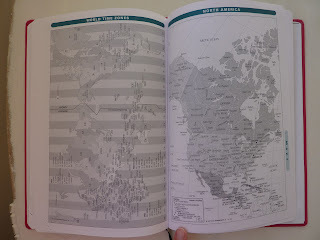 First are the maps, and Quo Vadis makes great maps. There is a very useful and accurate Time Zone map, and maps of North America, Canada, South America, and a map of Europe that explains who belongs to the EU and who doesn't (which I never can keep straight). 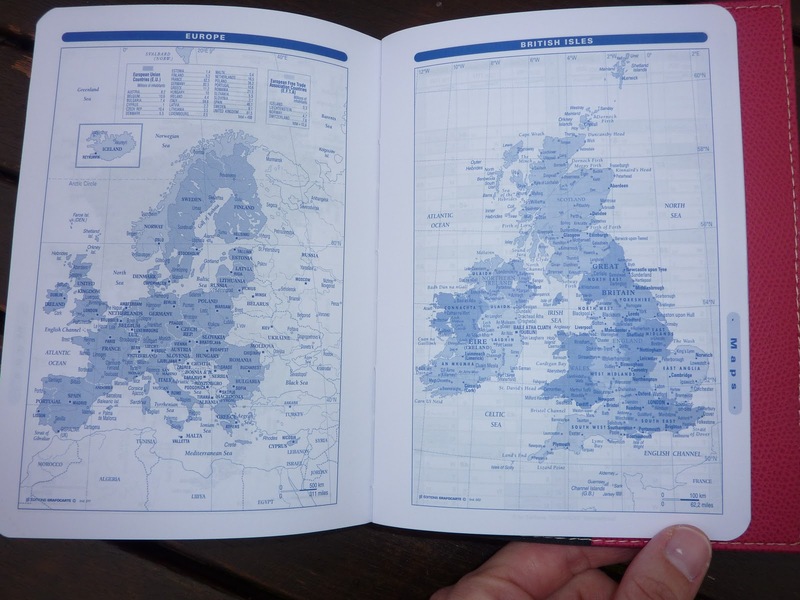 There's also a good map of the British Isles which is very handy for those of us who live here. 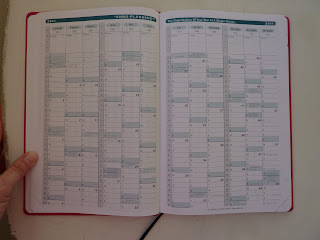 After the maps there is the Anno-Planner for the 2011-2012 academic year that I mentioned before. 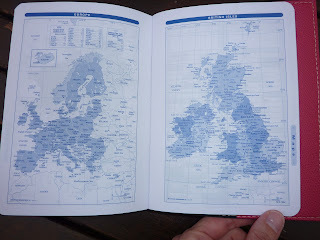 After that are some pages of UK-specific information that I find very useful. There is a chart of "distances between principal UK towns," which I was a bit miffed to discover does not include Aberdeen. 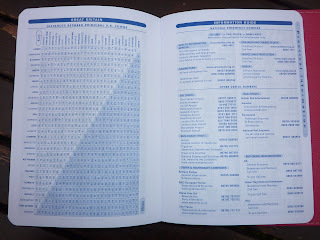 Next is a page of emergency and other useful phone numbers, which I really appreciate. 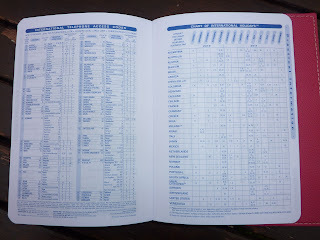 Next is a chart of international telephone codes, and a chart of international holidays. I really like having this information in my planner. 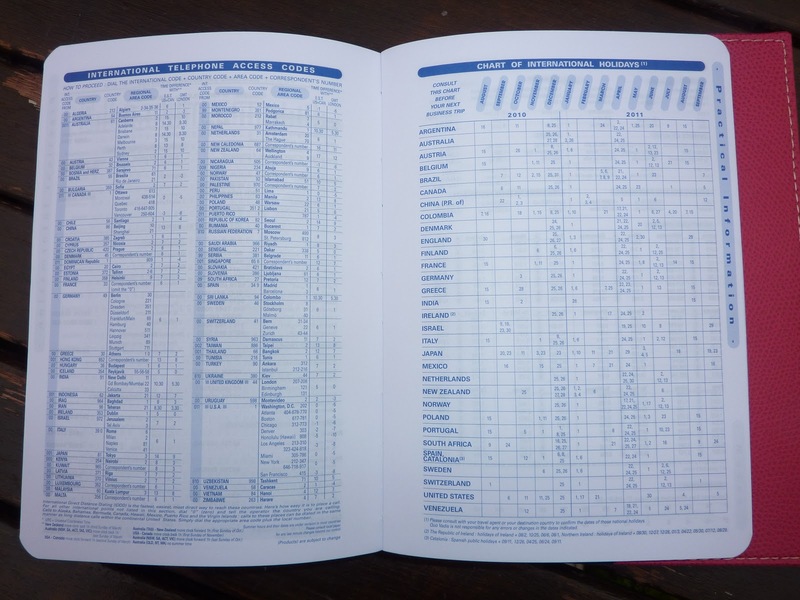 There is a page of conversion tables, which is especially useful for me since I'm not all that used to the metric system. 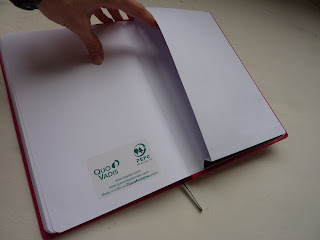 There is also a page to record your website usernames and passwords but it seems too risky to keep such sensitive information in a book that I carry around with me. I'll find a different purpose for this page. 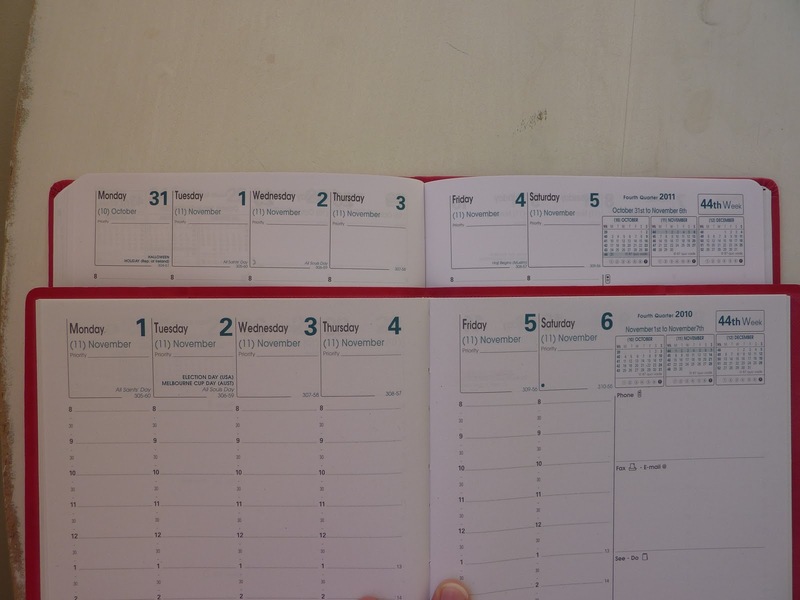 At the very back of the book is a reference calendar for the 2011-2012 academic year. At the right you can see how the cover of the book fits into the refillable Club cover. I like to stick papers and cards in this back pocket. 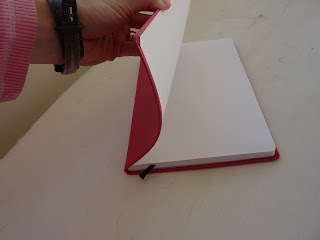 In my opinion, the Textagenda is the ideal size for a daily book. At 4 3/4 by 6 3/4 inches (12 x17 cm) it's the perfect size and shape. 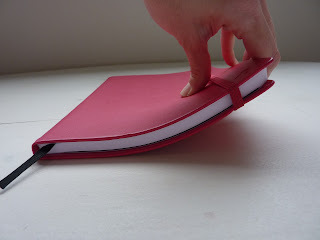 It's pleasant to hold in my hands, it fits easily into any of my bags, and the page has plenty of room to write. 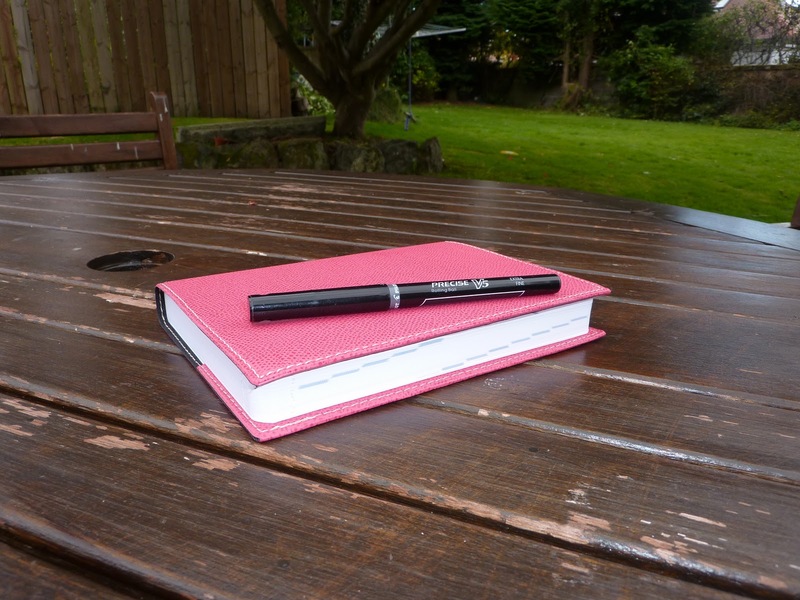 It's smaller than A5, which can seem too big for a daily planner (unless you're using it as a journal), and it's larger than A6 which might not have enough writing space each day. The Textagenda's size is just right, substantial yet portable. 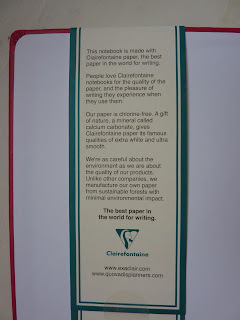 The Textagenda has that super-smooth, extra white Clairefontaine paper that is my very favorite in the world for writing. There really is no comparison with any other paper. 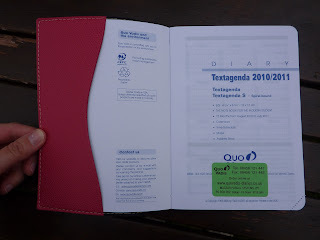 The paper used in the Textagenda is a little thinner than the paper used in the Quo Vadis weekly planners, to make the daily book not too chunky. 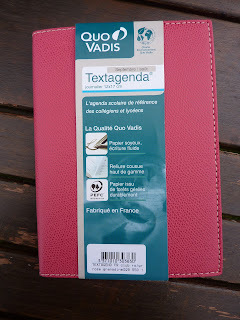 I ordered this Textagenda from the Quo Vadis UK website www.quovadis-diaries.co.uk, and I have a few issues. When I placed my order, second class postage was included in the price, which was nice. 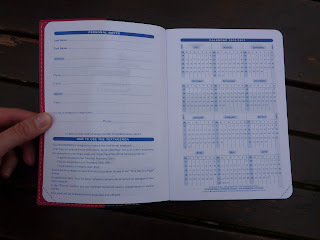 However, I wanted my diary faster so I tried to find a way to get Airmail, but that was not available as an option. (Maybe there is a minimum spending amount you have to reach to get the option to buy faster delivery?) 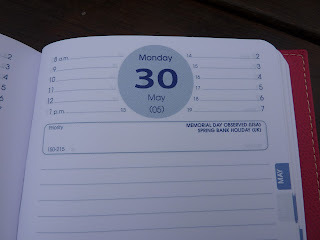 I placed my order on Sunday, got the notification Monday morning that it shipped (which is superfast processing), and received my diary today (Thursday). Like I said, that's great for free shipping, but I would have liked the option of buying faster shipping. This is the Club cover in Grenadine Pink, which turns out to be not at all what it looks like on the website. On the Quo Vadis UK website (click on Swatches) Grenadine Pink looks like a true pink (on my screen at least). But in person it is a reddish orangey pink that I would call Coral Pink. I'm very disappointed that the color is not what was shown on the website, and if I had known the true color of this cover I would have chosen the Aqua color instead. It's not a terrible color, in fact it's bright and cheery, it's just not to my liking and not what I expected the color to be. As it is, I will probably remove the cover and instead use the purple cover from my Textagenda I bought in France in 2001. I hope the books are the same thickness so that the purple cover will fit. Another misleading thing on the Quo Vadis website is the image of the inside pages of the Textagenda. 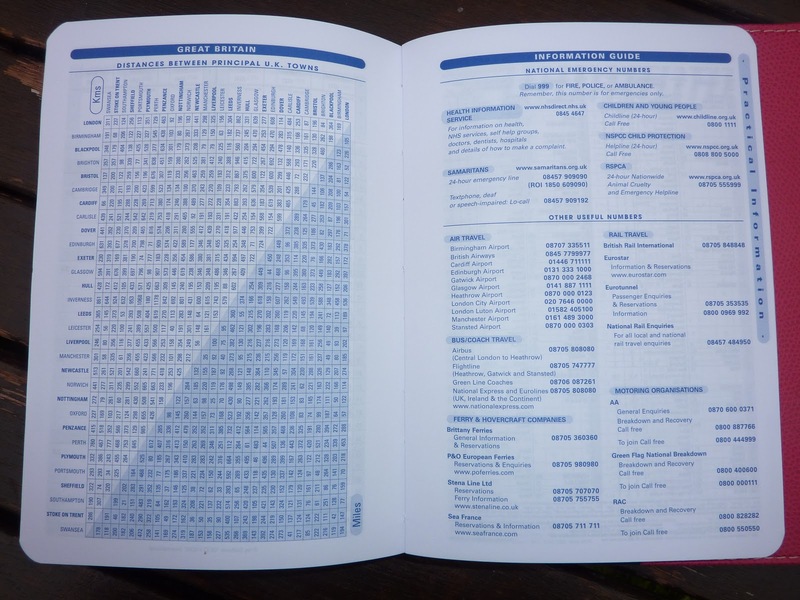 On the Club cover Textagenda ordering page, the image of the pages is actually of the EuroTextagenda, which is a multiple language format. 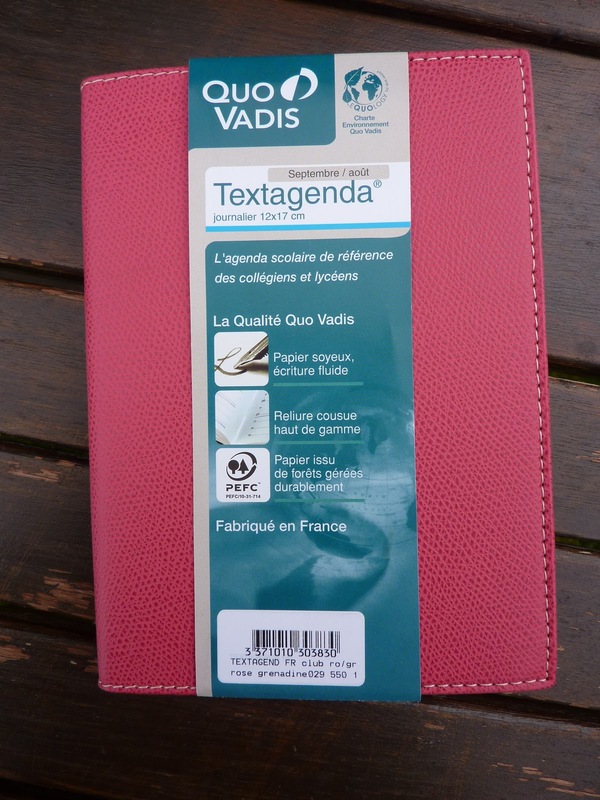 I did not want the multiple-language version, and I had to download the Quo Vadis catalogue and look through it to verify that the Textagenda in the Club covers has the English-only pages (like the US version seen here). QV, please update your website accordingly. I'm absolutely thrilled that my Textagenda is here, and I've immediately put it to heavy use. My next post will detail how I'm using my daily Textagenda diary alongside my weekly planner. 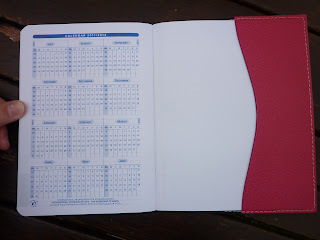 Many thanks to Karen for sending me this 2011 Minister weekly planner with the Habana cover! I had never seen a Habana cover before, it is wonderful! More on the cover in a few minutes, first some details of the Minister planner. 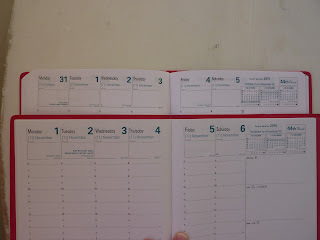 Those of you who have been reading my blog since the beginning may remember that the 2010 Minister was the first planner I reviewed here on Plannerisms! 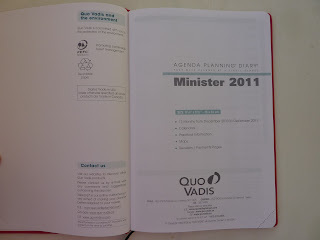 The 2011 Minister has a few changes and updates that I want to highlight. 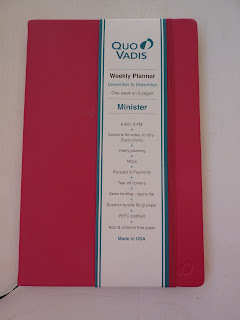 First, some things that are the same: Quo Vadis USA planners are made in the USA. The Minister uses the famous Clairefontaine silky-smooth 90 g white paper that is a joy to write on. 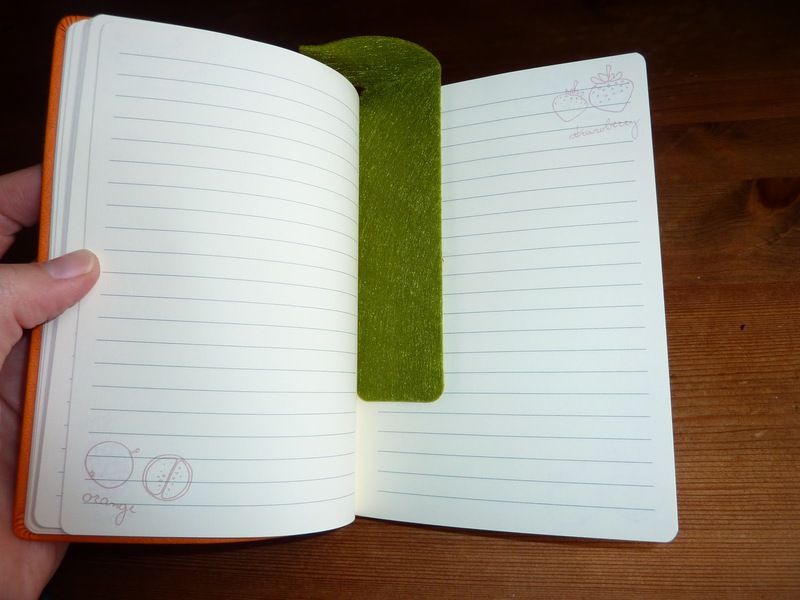 Fountain pen users especially love this paper because there is no bleed-through or feathering. The paper is acid-free, archival and sustainably sourced. 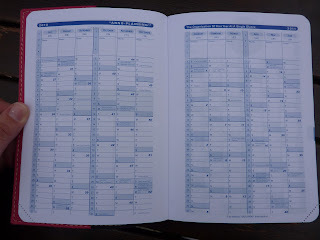 The Minister has a two-page Anno-Planning calendar with the entire year at a glance for 2011, and another for 2012. 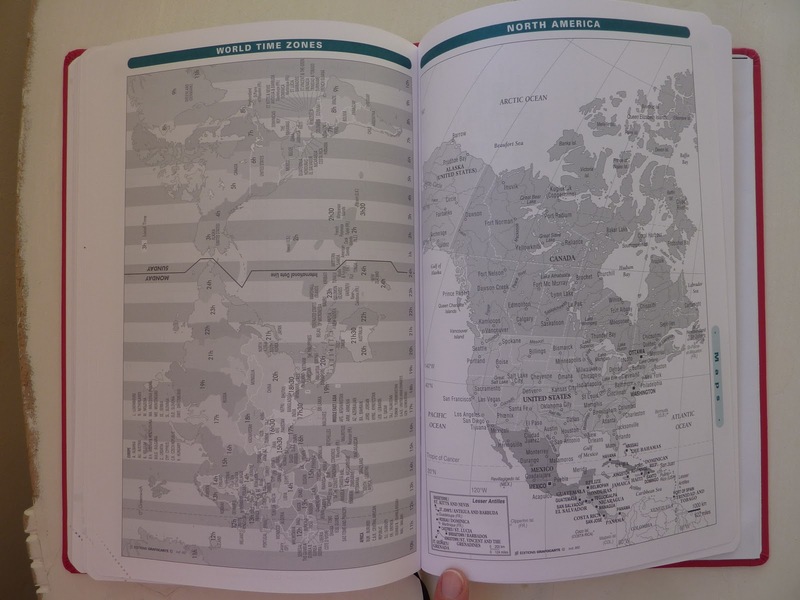 There are pages of useful international information like calling codes, minimum and maximum monthly temperatures, international holidays, a very useful and accurate time zones map, and detailed maps of the continents. The weekly format is still the same, with some updates. 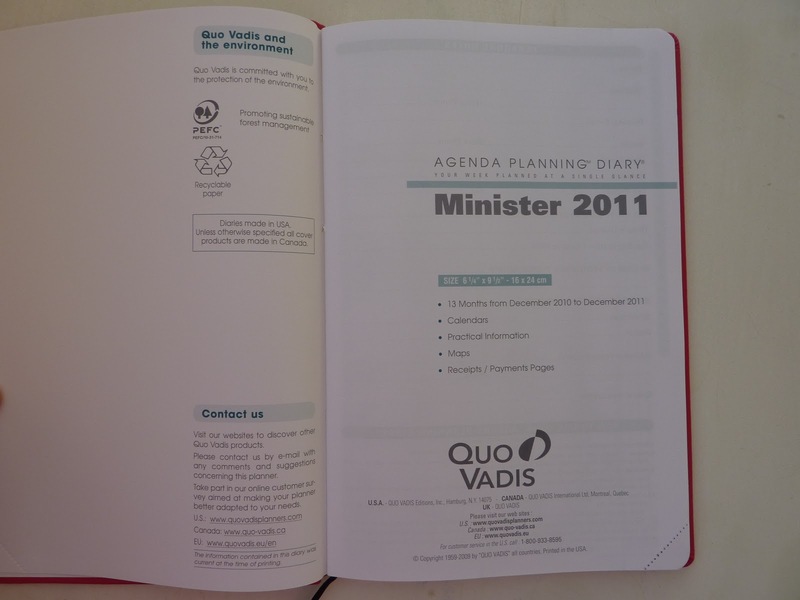 Like the 2011 Trinote, the 2011 Minister has smaller fonts and a cleaner look to the weekly pages. Here is a comparison between the 2010 and 2011 Ministers. You can see the smaller fonts and larger Priority boxes in the 2011 version (click on photo to enlarge). Also for 2011, the holidays take up less space in the Priority box. There are no more words in the list boxes, only icons to guide you. This gives more space for writing in the list boxes and looks more streamlined. 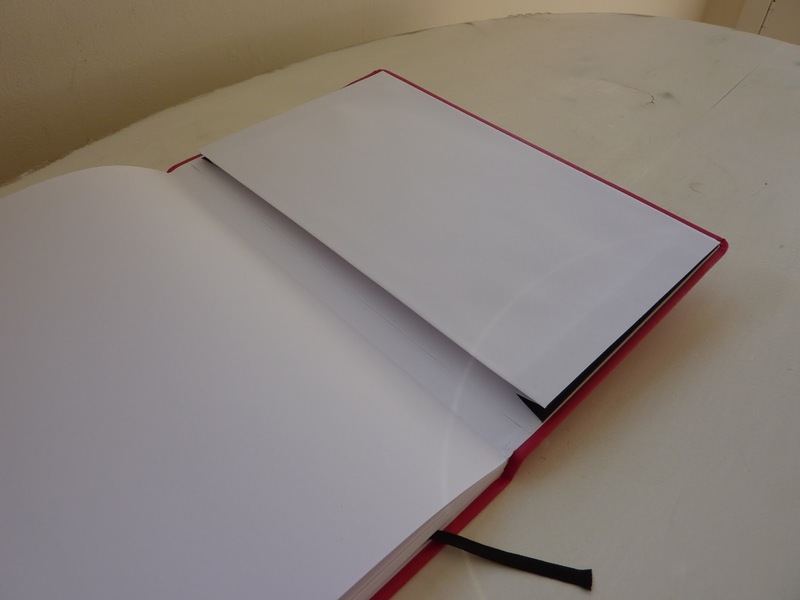 The Minister is sized 6 1/4 by 9 1/2 inches and is only about half an inch thick, making it very slimline and portable. 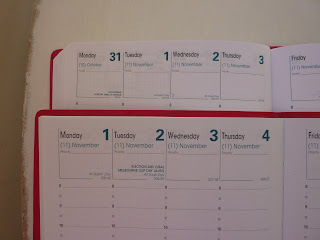 The weekly planning section starts the first week of December 2010 (first day is November 29) and goes through the end of December 2011. Now, on to the glory of the Habana cover! 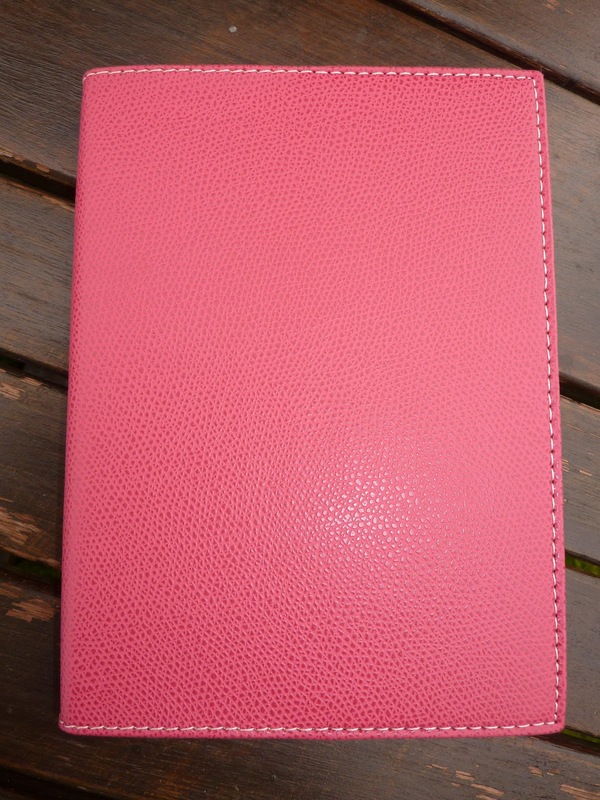 This cover is the gorgeous new Raspberry color. The cover has a smooth leather-like feel to it. 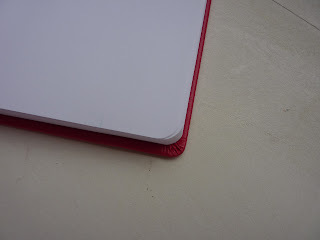 The elastic closure is color-matched to the cover. The Quo Vadis logo is subtly embossed on the bottom corner. Quo Vadis is embossed at the bottom of the back cover. The cover is stiff but not hard, with some flex to it. There is a RIBBON PLACE MARKER, which is fantastic! The corners are rounded. And, there is an expandable pocket in the back. 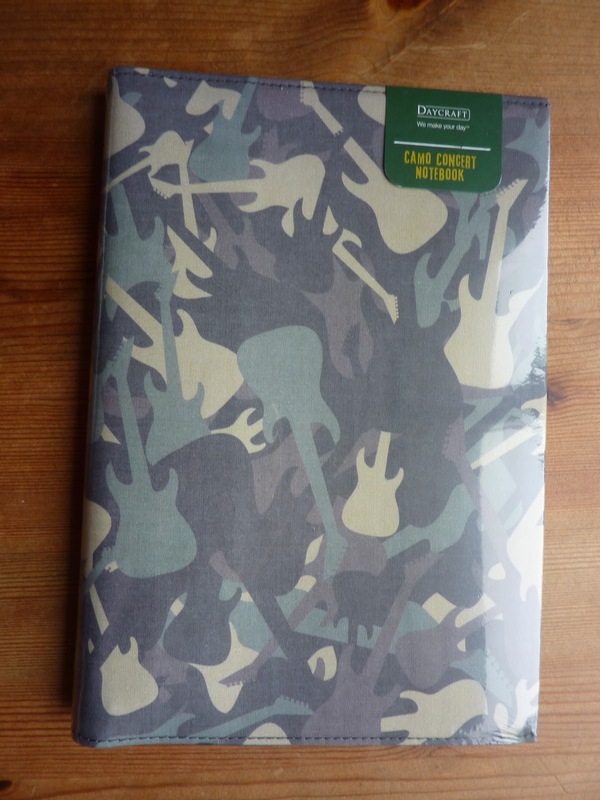 Please note, the planner is bound into the Habana cover, and is not refillable (unlike some of the other Quo Vadis covers like Club and Soya). Also, the Habana does not include the removable address booklet that comes with the refillable covers. The entire book is very elegant and luxurious. The look and feel of the cover and paper are extremely high quality in every way. 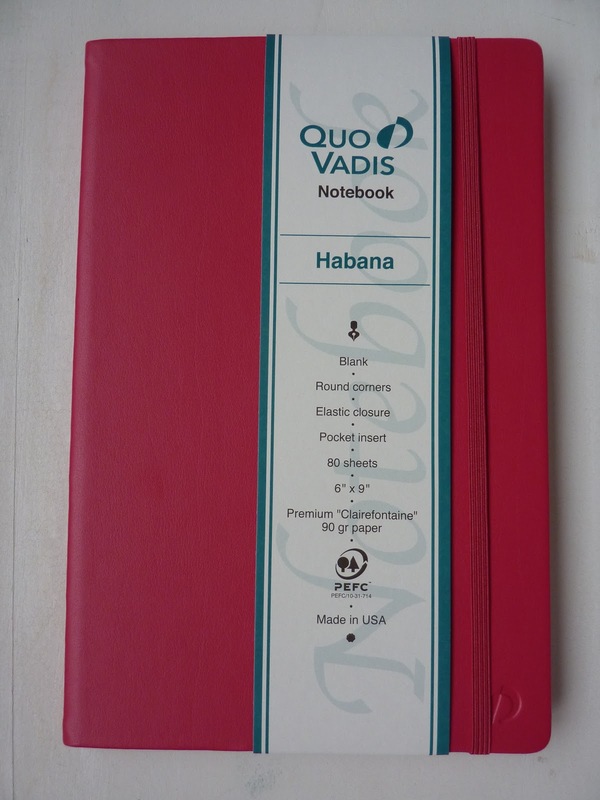 Click here to see a list of Quo Vadis planners (in daily and weekly formats, academic and calendar year, in various sizes) that are available with the Habana cover. 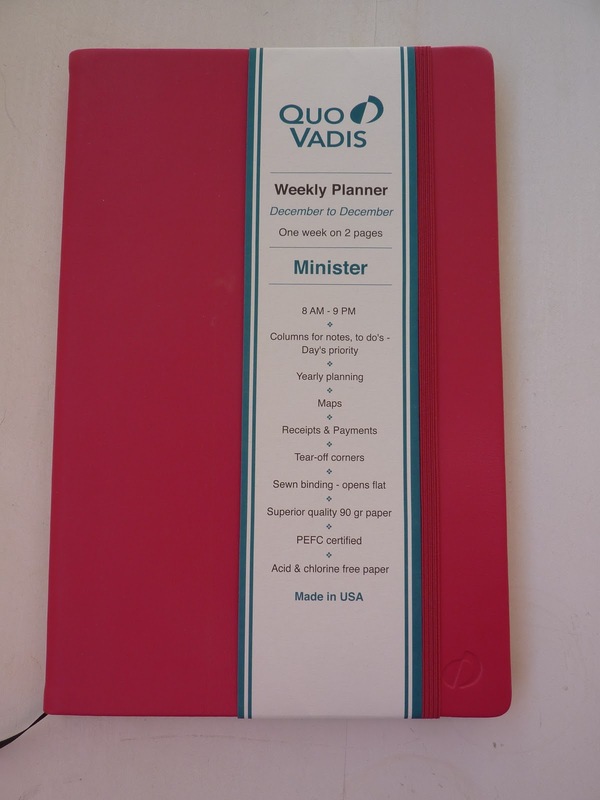 You can buy the Quo Vadis Minister with the Habana cover online at The Daily Planner and at these websites. The Habana cover is also available as a notebook, in small and large sizes and a variety of colors, with lined or blank pages. 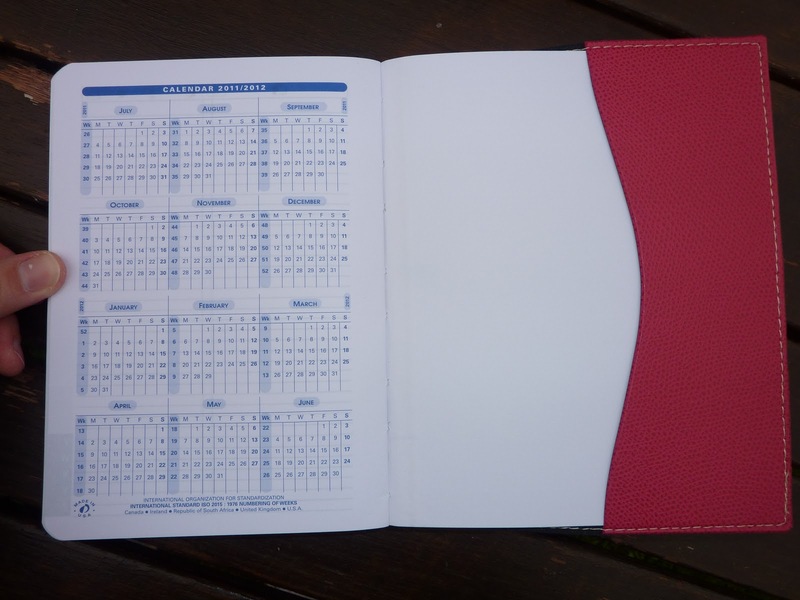 You can order them at The Daily Planner.